The 2016 alewife run at the Supply Ponds is officially over. We passed a respectable 1,514 fish this year – the highest number since 2011. 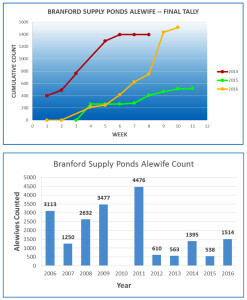 As you can see in the second chart, the alewife total has been rather low since 2011 (the counter as broken in 2010 and did not give reliable data). It would be nice to return to the higher numbers of a few years ago. Enjoy the summer – get outside and walk some of the open space in Branford, and our neighboring towns. 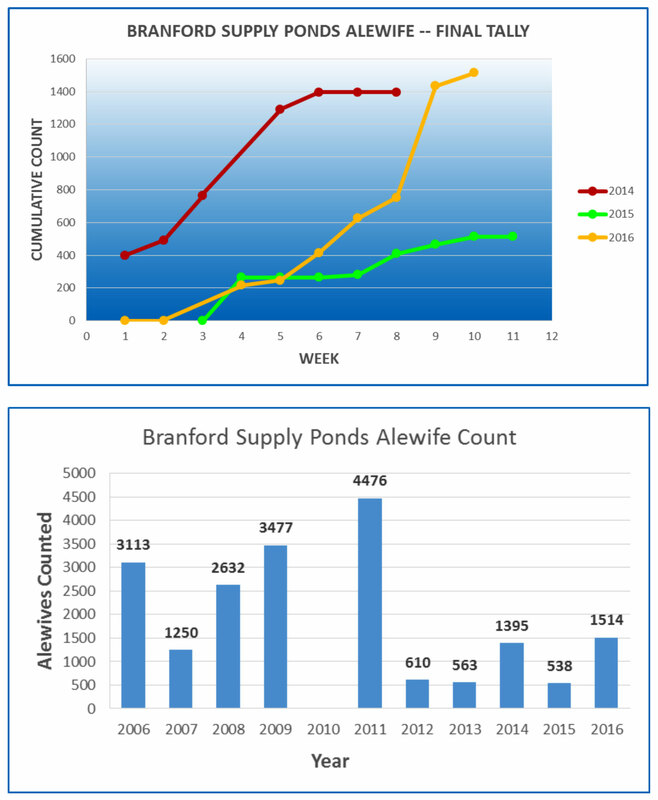 We’ll be back next year with a new Alewife Count. • Click here for the full report.